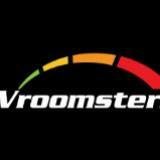 vroomster Reply was prompt by seller. Recommended seller. Items as describe. 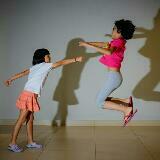 Will deal again in future. a2m1d Great seller to deal with! Item delivered as described Punctual! We are closed from 2nd to 5th Feb 2019. Pick up location at Blk 147 Bishan St. 11 S570147. Please whatsapp +6591259516 (preferred) or email contact@e-shoppinghouse.com for all enquiries. We are closed on Sundays and Public Holidays. This set is suitable for 15" and 16" inch rims. Price is for one pair based on cash and carry from Blk 147 Bishan St. 11 S570147. We DO NOT provide installation. Please find your own installer. This item is glued onto the brake caliper using high temp glue. (We do not provide the glue). This automatic transmission fluid is for Mazda Skyactiv models. Each bottle comes in 1 litre. Price is based on cash and carry from Blk 147 Bishan St. 11 S570147. Price is not negotiable. New type CVT fluid for Mitsubishi CVT gear box. Price is for 1 bottle based on cash and carry from Blk 147 Bishan St 11 S570147. Non negotiable. Brand new Nissan NS3 CVT oil. 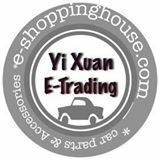 Price is for one unit based on cash and carry from Blk 147 Bishan St 11 S570147. Honda Ultra DPSF-II Differential Oil. Made in Japan. Each unit contain 4 litre. Price is based on cash and carry from Blk 147 Bishan St. 11 S570147. Brand new Valeo wiper set for MB S-Class W222 2013-on. Only suitable for model without heated blades and integrated washing. Price is based on cash and carry from Blk 147 Bishan St 11 S570147. Brand new Mann HU514x oil filter for Mercedes Benz. If unsure of which oil filter is suitable, please provide chassis number to check. Price is for 1 unit based on cash and carry from Blk 147 Bishan St 11 S570147. 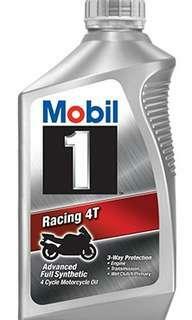 Mobil 1 Racing 4T in 1 litre bottle. Price is for 1 bottle based on cash and carry from Blk 147 Bishan st 11 S570147. Not negotiable Courier delivery at buyer's cost. Mazda ATF FZ for Mazda Skyactiv Transmission models. Each bottle contains 4L of fluid. Price is based on cash and carry. Arrange to pick up from Blk 147 Bishan St 11 S570147. Not negotiable. Brand new window visor set for Altis 2002-2007. Each set consist of 4 pieces of visors and came ready with 3M automotive double side tape. Price does not include installation and delivery. Pick up from Blk 147 Bishan St. 11 S570147. Brand new window visor set for Vios 2003-2006 NCP42. Price is for one set based on cash and carry from Blk 147 Bishan St. 11. S570147. Not negotiable. Window visor set for Mitsubishi Attrage. 4 pieces of visors in a set. Has wording 'USE FOR ATTRAGE' printed on all 4 pieces of visor. Price is based on cash and carry from Blk 147 Bishan St. 11 S570147. Each tin contains 4L Made in Japan. Price is for one unit based on cash and carry from Blk 147 Bishan St. 11 570147 Not negotiable. Brand new OEM Boot Door Damper for Toyota ISIS. Price is for one pair based on cash and carry from Blk 147 Bishan St. 11 570147. This is not original Toyota parts. Original Toyota dampers available at $200 per pair. Brand new Wish 2003-2018 Boot Door Dampers. Price is for one pair based on cash and carry from Blk 147 Bishan St. 11 570147. This is not original Toyota parts. Original Toyota dampers available at $200 per pair. Brand new Valeo Silencio Front Wiper Set for Benz GLC X253 2015-on. Made in France. Price based on cash and carry from Blk 147 Bishan St. 11 S570147. Not negotiable. Brand new Valeo Silencio Front Wiper Set for Benz C205 2015-on. Made in France. Price based on cash and carry from Blk 147 Bishan St. 11 S570147. Not negotiable. Brand new Valeo Silencio Front Wiper Set for Benz W205 2014-on. Made in France. Price based on cash and carry from Blk 147 Bishan St. 11 S570147. Not negotiable. 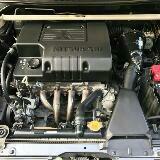 Made in Japan stock replacement air filter for Honda Stepwagon Spada. Price is for one unit cash and carry from Blk 147 Bishan St. 11. 5701470. Price is not negotiable.